well, i agree with you but, we havent seen what the other two can do???? So true!But still i think the Shanks and Whitebeard will always be the strongest! haha, like they would get beaten by some louzy shichibukai...i mean they survived all this time, that means they are way stronger then luffy, and luffy already beat 2 shichibukai, so the shichibukai arent that tough. lets not forget about haki which was now revealed in manga episode 519, and both whitebeard and Shanks probably have it!!! who is kaidou? any picture of him? i think dragon is a 4th yonkou ...but not really sure.. anyone who know about this? I think the fourth is known as Big Momma and I heard that she might by Lola's mum. Can you imagine how forgiving the Grand Line would have been for Luffy had he reached it pre war with government. 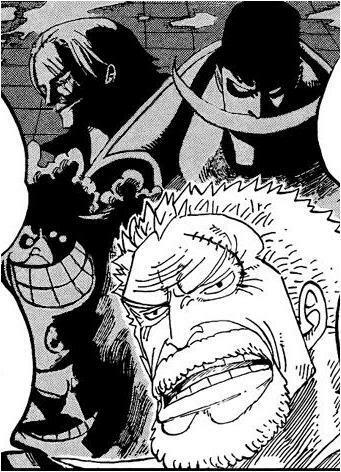 Whitebeard would be influenced by Ace to be on his side, Shanks obviously cares about him and if Big Momma is Lola's mum she would be indebted to him. Only Kaidou would be a threat from the Yonkou! We cannot make such drastic assumptions. YES, Whitebeard is known as the strongest man in the world but the other three we know next to nothing about, besides Shanks who we know likes Luffy and spoke to Whitebeard, still holding his ground in a small duel even with one arm. said that its work taking note that Kaido "once fought against Gekko Moriah of the Shichibukai on equal footings (in his younger days), and emerged victorious." (One Piece Wikia) this says to me he MAY be the weakest but it WAS his early years. from what i know, and i'm not quite sure, big mama one of the four emperors is the mother of lola from thriller bark, because before luffy an his crew left she said that her mom will be of a big help and that her mom is a big shot, so i think lola's mom is big mama. And now that whitebeard is dead, who will replace him? marquemyer wrote: who is kaidou? any picture of him? i think dragon is a 4th yonkou ...but not really sure.. anyone who know about this? I think that Shanks is actually the strongest of the yonkou.